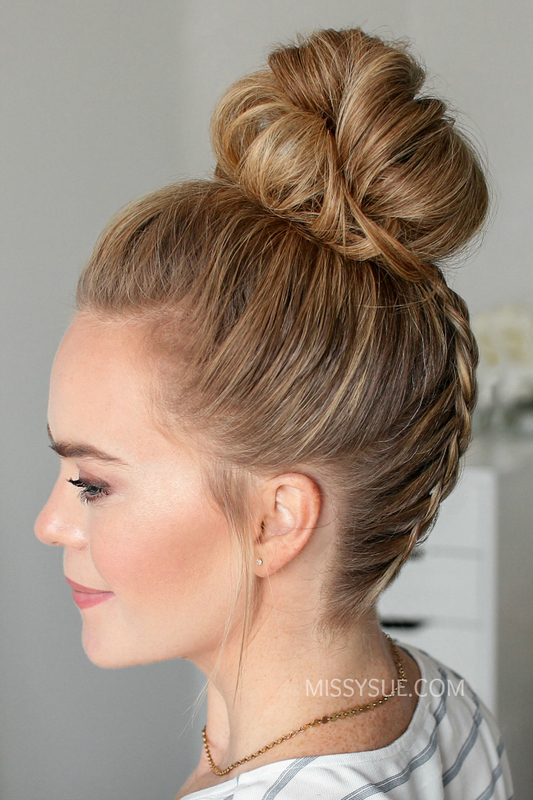 Who’s ready to take their messy bun up a notch? Step 1 / Divide out a section of hair from the ears up to the crown of the head and tie the forward hair out of the way. Step 2 / Divide out a 1″ section of hair down the back of the head and clip away the side hair. Step 3 / fPick up a small section near the nape of the neck and divide it into three sections for the braid. Step 4 / Create a dutch braid, adding in hair until the braid reaches the top of the head. Step 5 / Then braid the section a little further down and slide a bobby pin over the ends. Step 6 / Let down the hair on the left side and repeat the same steps creating a second dutch braid. Step 7 / Then repeat the same steps a third time creating another dutch braid with the hair on the right side of the head. Step 8 / Combine all of tje hair together at the top of the head. Step 9 / Remove the bobby pins from the ends of the braids. Step 10 / Wrap a hair band over the hair, then spread the ponytail around the hair band and wrap it twice more over the hair to form the base of the bun. 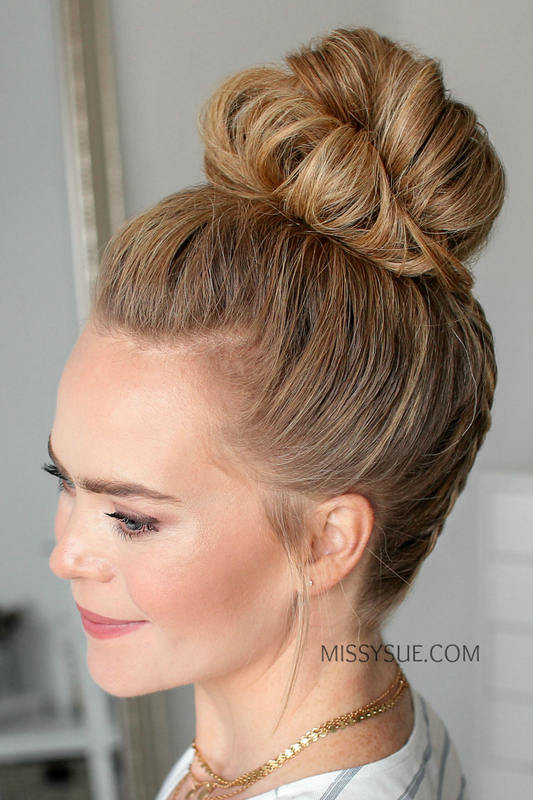 Step 12 / Pin down any sections of the bun that are sticking out and set it all with hairspray.